Looking at who holds the top spot in the AdNews Power 50 list 2017, it’s the man who could gain the most from Senator Mitch Fifield’s media reforms package – Lachlan Murdoch. Yes, Murdoch has indeed dislodged the 2016 power list winner, Communications Minister Fifield himself. 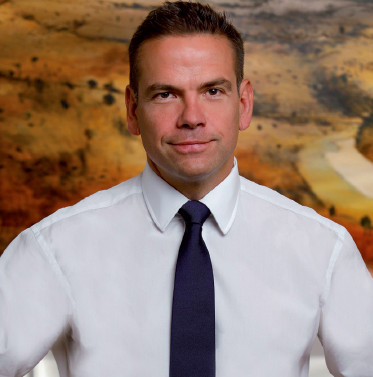 It’s only been three years since Lachlan Murdoch, the oldest son of Rupert, returned to the family business where he is the executive chairman of News Corp, the world’s largest newspaper group, and its TV and movie arm, 21st Century Fox. In this country News Corp is comfortably the largest newspaper group, a part owner of Pay TV broadcaster Foxtel and owns Fox Sports, the largest sports broadcaster. Murdoch’s influence extends beyond News. He owns and is executive chair of radio group Nova Entertainment and his portfolio shows no sign of slowing down. In one of the more dramatic media manoeuvres in recent years, Murdoch and WIN owner Bruce Gordon formed a joint venture to launch a takeover bid of Ten. While it didn’t go ahead, Murdoch’s power still remains undeniable. 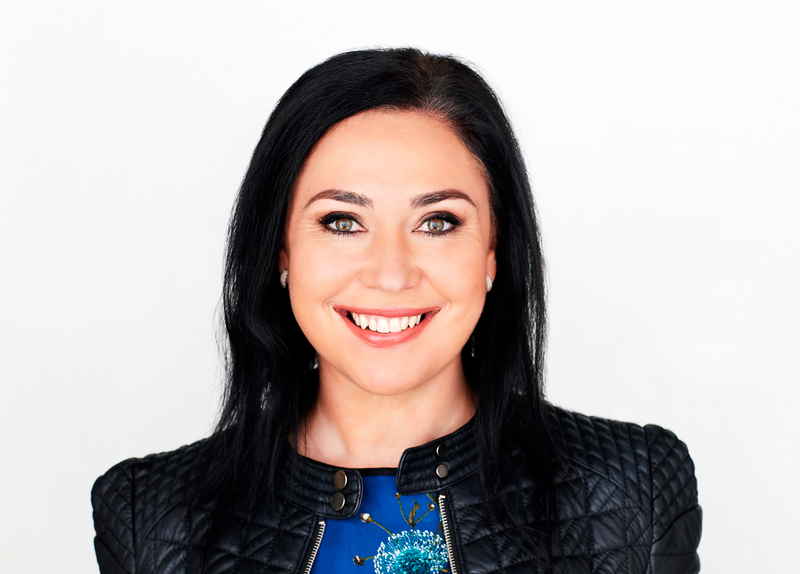 AdNews editor Rosie Baker says: "The Power List is an important and useful list of the real power players within the media, marketing and advertising sector. "It's not about how loud you shout or what reputation you have, it's about the power you have to change and re-shape the landscape to make a real difference. "The list doesn't just start with last year's and there's no automatic entry for long-standing media moguls. We start from scratch and debate each person's power." Looking deeper into the list the once in a generation media reforms hinge on Fifield’s ability to unite the Senate’s largest and arguably most divided cross bench. 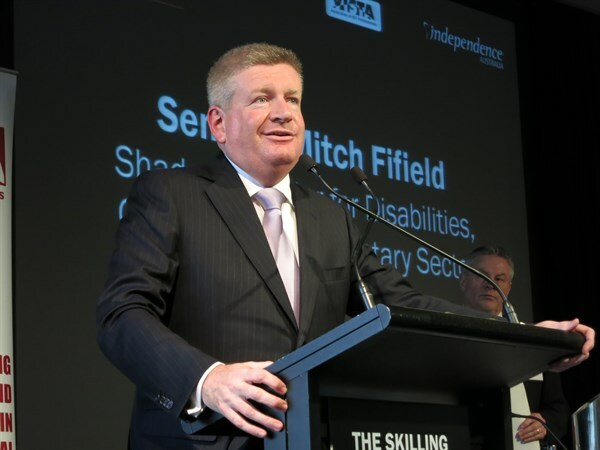 After uniting the media industry, Fifield is a worthy runner up on our Power 50 list. News Corp has the most entrants on this year’s list with five followed by Seven West Media with four. Women represent a fifth of the Power 50. From Lachlan Murdoch and Cathy O’Connor to Russel Howcroft and Michelle Guthrie, the backgrounds and leadership styles vary immensely. 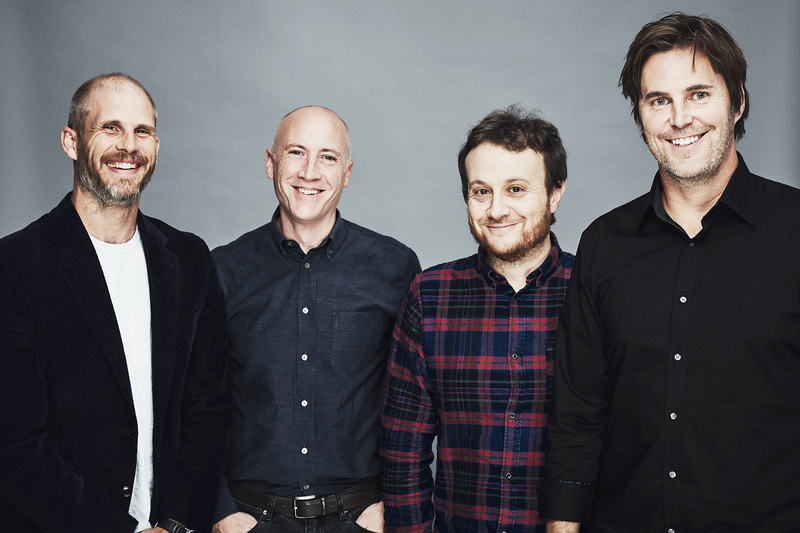 There’s been a sharp rise for Rob Morgan and James McGrath of creative powerhouse Clemenger, which won the Cannes Agency of the Year award. Its power is the ability to influence culture and Australian society through award-winning work. This year’s list has a few notable omissions, media agency power is represented on the main list by holding group leaders with a separate list acknowledging individual media agency CEOs. Facebook’s influence as a company is also explained in a separate list of the top five external influencers on the Australian market, as AdNews all too often knows that while local market moves from such global firms have major impacts here, the actual power play comes from higher ranking people beyond our shores. 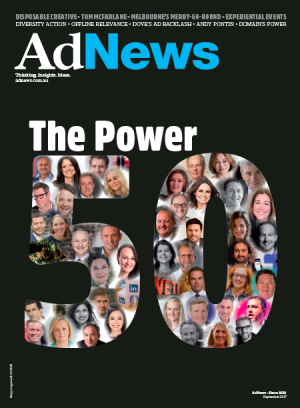 Below is the top 25 of the Power 50, but if you want more detail and the full blurbs, you’ll need to subscribe to AdNews in print. For the rest of the AdNews Power 50, as well as 'The Ones to Watch', Top 10 Media Agency CEOs, Top 10 On Air Talent and the Big Five Cos, subscribe to AdNews. Despite the joint takeover of Ten not eventuating, Murdoch publicly upped the ante on his already huge influence on Australian media. The News Corp co-chair owns Nova Entertainment Group and he’s an executive chairman of 21st Century Fox, He has an impressive list of media assets and significant sway across many media print/digital and radio facets in this country. Rupert may still exert the most global influence across the Murdoch empire, but it is Lachlan who has stepped up as the Murdoch family’s most important player in Australia. A year ago, few would have given Fifield much hope of uniting the highly competitive media industry to deliver sweeping and long overdue media reforms. That the industry is on the precipice of the most radical changes since the 1990s is the single largest achievement in this industry in the past year. With crossbench support looking more likely by the week, the senator could revolutionise the regulatory landscape that curtails many of Australia’s largest legacy players. He’s already replaced TV licence fees and engineered a media reforms package that required careful horse−trading and concessions for each vested party. Bringing different media agendas to the table was already a feat, but crafting and pushing through much needed change could be one of the few positive policy areas of the current government to date. He remains near the top spot given the power he has to create that much impact on the future of the entire industry at, what is surely an historic turning point. 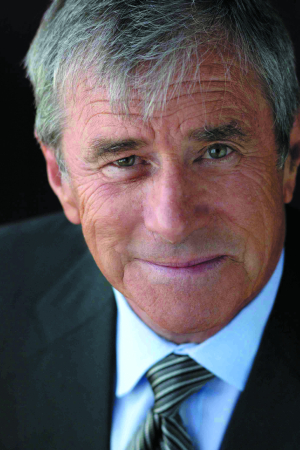 Tim Worner’s controversy over the past year has done little to dim the fortunes of Seven and its chairman Kerry Stokes. The media magnate was a strong ally to Worner during his time of need and undoubtedly holds huge sway across the Seven West Media (SWM) portfolio. His influence extends well beyond SWM. It was reported Stokes had been a major industry stumbling block to creating a media reforms package, particularly in relation to the two−out−of−three rule. The finances of his investment company Seven Group Holdings have soared in the past year, helping Stokes become Australia’s 14th wealthiest individual, with wealth of $2.9 billion. McKenna is a figure so influential within News Corp and across the Murdoch world that many argue she’s the one calling the shots. The former McKinsey consultant is Lachlan Murdoch’s right−hand woman and managing partner of his Illyria investment business, his representative on the board of Nova and formerly Ten. She exited the Ten network earlier this year to join News Corp to drive its broadcasting interests. She’s also an exec on the board of Woolworths and investment firm Amcil. McKenna is arguably the most powerful woman within News Corp and in Australian media. 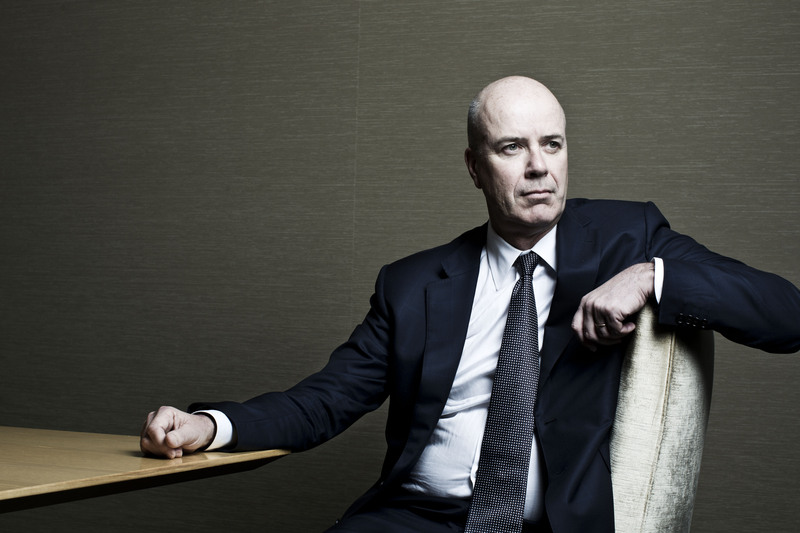 Having run STW Group for a decade, he oversaw the 2016 merger/acquisition with WPP, and now leads Australia’s largest marketing communications network, pushing $142 million full-year profit in February before interest. The fate of its agencies and its future are in his hands. 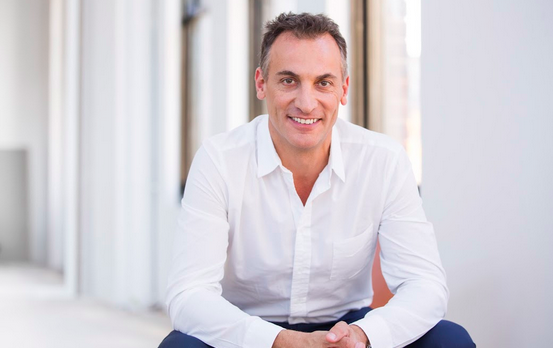 He set about rationalising the 90−plus agencies in the portfolio, scrubbing out under−performing brands, strengthening global agencies that were undercooked in Australia, and merging agencies for better results. The group’s share price is steadily rising from its low point two years ago, now sitting at more than double what it was. Google is doing more to disrupt the media and marketing industries than just about any other organisation. And its efforts are being amplified in this country by Pellegrino. In a market where the outposts of the global tech firms can be seen as glorified sales divisions, in the past year Pellegrino has done more to raise the profile of Google in this market than anyone at rival tech firms like Facebook which are changing advertising. He has frequently appeared at industry events and staunchly defended the internet giant’s plans for the market, providing a valuable Silicon Valley counterpoint from Sydney. When ‘PT’ returned to Foxtel after a two−year step sideways back to Holt St, morale was low, cost−cutting was rife and Foxtel was undergoing a structural upheaval thanks to the rise of SVODs and other market dynamics. Change was required to streamline and steady the ship, while overhauling its operations. In the past year, this has begun to take shape in the form of a new streaming player, a more modern brand and plenty of optimism. Peter Tonagh is hugely admired internally and respected across the industry as an authentic doer with the gravitas to run one of Australia’s largest content machines. Clemenger Melbourne is hot. But not flash in the pan hot, consistent heat wave hot. It is indisputably the stronghold of Australian creativity and behind that is Rob Morgan, its long−time chair, and James McGrath its creative honcho. McGrath (below) has been creative chairman for a decade, working hand−in−hand with very recently departed ECD Ant Keogh, and this kind of creative stability is rare. 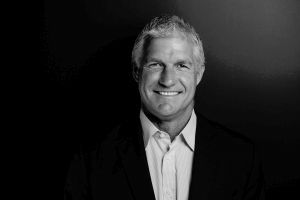 CEO Nick Garrett joined eighteen months ago and has brought new direction and strategy to achieve global fame for bold work like ‘Meet Graham’. But the firepower of Clemenger comes from its stability, Morgan’s vision and business leadership and McGrath’s creative genius. Being named Cannes Lions Agency of the Year is a huge achievement, as is winning 56 Lions this year, plus a massive haul at all the major international shows. What a difference a year can make. When this list last came out Nine had endured a difficult first half to 2016 while rival Seven could do little wrong. We now see a complete turnaround for Nine, with huge ratings hits such as Married At First Sight and Ninja Warrior helping the network perform powerfully across key advertising demos. 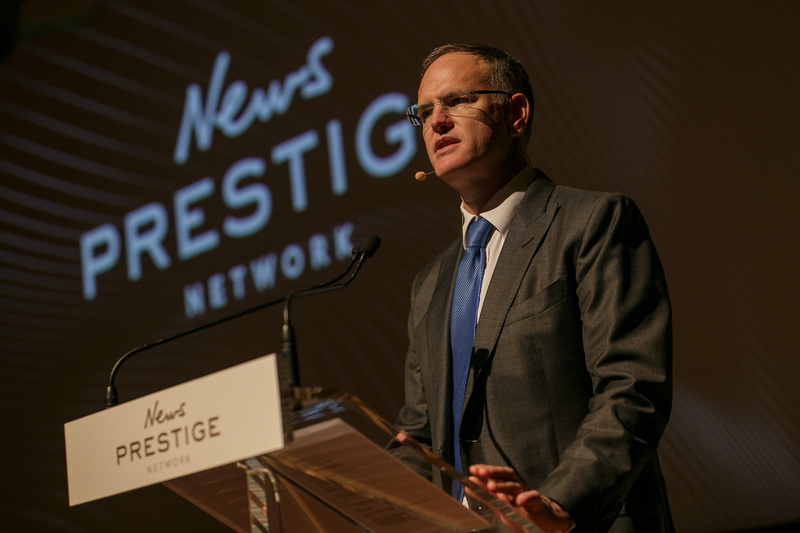 Hugh Marks led the change, backed an impressive new programming slate and displayed immense confidence in an epic upfronts event that told the market Nine meant business. Marks has shown strong leadership throughout to help Nine regain its lustre. Delivering eyeballs and country-uniting-style content is the name of the game and Marks has delivered. As News Corp, Miller is running one of the largest media organisations in the country. While the Murdochs still pull the strings, and there’s a field of strong lieutenants including Siobhan McKenna, Damian Eales, and Nicole Sheffield on the front line, Miller is the boss for now. There may be louder voices in News Corp than his, but Miller has been described to AdNews as “always the smartest person in the room”. It’s been a torrid year for the CEO, with allegations of an affair with Amber Harrison that became messy and public knowledge, keeping Worner’s name in the headlines for all of the wrong reasons. 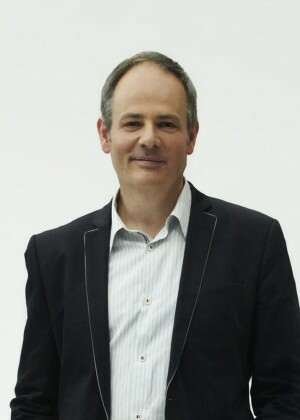 Harrison’s attempt to destroy Worner’s standing at the helm of Seven has undoubtedly caused damage, but he remains the leader of Australia’s largest FTA TV network, the biggest newspaper group in Western Australia, one of the country’s largest magazine publishers, Pacific Magazines and Yahoo7. Whether Worner can brush off the longer−term effects of the debacle, including lost bonuses, remains to be seen. While tainted, for now it seems his power and influence still remains. Led by entrepreneur Catalano, Domain is no longer just a real estate listing business. It has morphed into a media and services powerhouse and is the cash cow at Fairfax. Testament to this is the publisher posting a net profit to June of $83.9 million compared to a $772.6 million loss the previous year. While the turnaround was due to many factors, Domain has played a big role. Three years ago it had 200 staff; fast−forward to 2017 and it is 800 staff−strong. Analysts estimate Domain’s float on the ASX could range between $1.6 billion and $2.4 billion. Catalano, the “clever manager and very good deal doer” is now Fairfax’s largest individual shareholder. 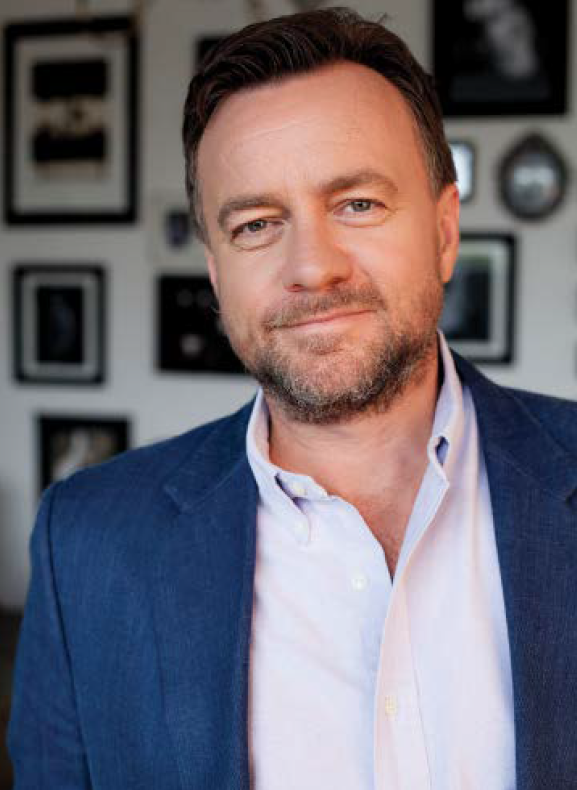 From headlines over journalist−slashing to his personal $2.45 million share bonus this year, Hywood, who leads one of Australia’s largest media organisations, is never out of the limelight. 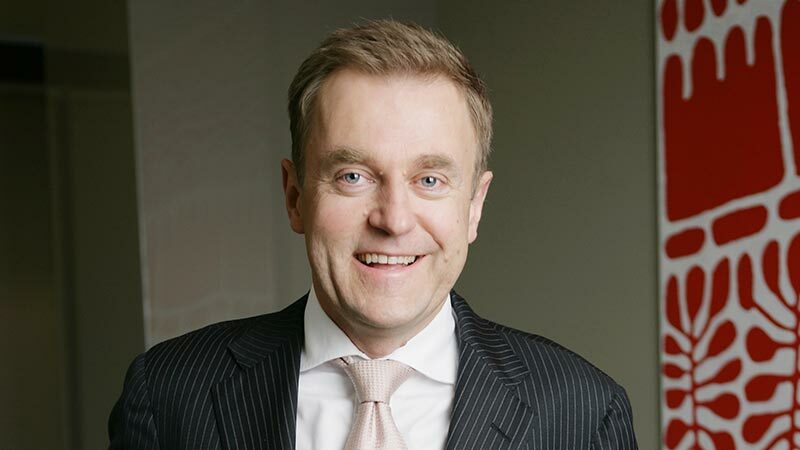 He’s responsible for the performance of a raft of assets including leading the ASX−listed firm’s Australian mastheads; The Australian Financial Review, The Sydney Morning Herald and The Age, as well as many other print, digital and radio assets. When the Domain spin−off is complete by year−end, Fairfax will continue to own a controlling majority of Domain (between 60% and 70%). With current traditional publishing woes, some analysts say the entire value of Fairfax is in Domain, which could well see Hywood’s spot on the 2018 Power List edge down, and Catalano’s bump up further. Promoted to chief operating officer of publishing at News Corp Australia in March this year, Eales first entered the Murdoch fray in 2013 – you’d think it’d been longer with the amount of sway and power Eales has across the market. As COO of one of Australia’s largest media companies, listed on the ASX, Eales’ role sees him accountable for metropolitan, regional and community publishing divisions. He has a seat at the big table with many media agency top dogs, he’s tough and known as a shrewd operator. As boss of the sales house for Australia’s major pay TV offering, Foxtel, and more recently welcoming Network Ten to the mix, Fitzgerald is responsible for nearly 420 partners across the business. Not only does he oversee more than 500 staff in five Australian states, he manages a company that writes more than $1.2 billion in revenue. Fitzgerald is also known for driving bold initiatives that disrupt traditional TV trading practices. The passage of the government’s media reforms package hinges entirely on the shoulders of a motley crew of federal senators that sit outside of the major parties. There’s The Greens; Pauline Hanson and three One Nation senators; Nick Xenophon and his two colleagues; former current affairs TV host−turned−shock jock Derryn Hinch; Jacqui Lambie; Bob Day (Family First); and David Leyonhjelm (Liberal Democrats). Nick Xenophon has shown a broad interest to tackle systemic media issues, such as the growing influence of digital duopoly Facebook and Google, while Hanson wants cuts to the ABC. Any regulatory changes to evolve the media industry must chart a course through this minefield of conflicting agendas and ideological interests. 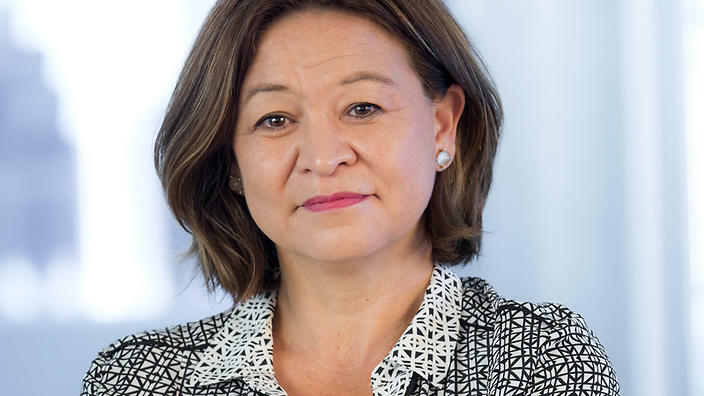 Since joining in May 2016, Guthrie has led the national broadcaster in a new strategic direction, bringing clout, more Australian content, and a major staff shake−up to ‘urgently address’ declining audience figures across television and radio. In March 2017, Guthrie, a former media and technology lawyer, revealed a major cultural and structural transformation at the ABC, to make it better equipped to meet the challenges of the digital era and address significant audience gaps: socially, culturally and geographically. $15 million was also earmarked to help grow ABC’s regional bureau teams. ABC’s digital assets are constant high performers in the Nielsen Digital Ratings, alongside the likes of news.com.au and nine.com.au, showing its top tier clout and influence. The Monkeys has changed the shape of the industry and pulled off the coup of the decade with their deal to sell to Accenture Interactive. The deal was reportedly worth $63 million, which offers a massive shake−up to the usual value placed on creative agencies. An acquisition by a holding company would usually mean a multiple of between six and 10 − this deal puts it at around 17. While The Monkeys’ revenue and profit for 2016 wasn’t as high as many expected, by being valued so highly by a suitor, the agency changed the lay of the land for creative shops, and the march of the consultancies. 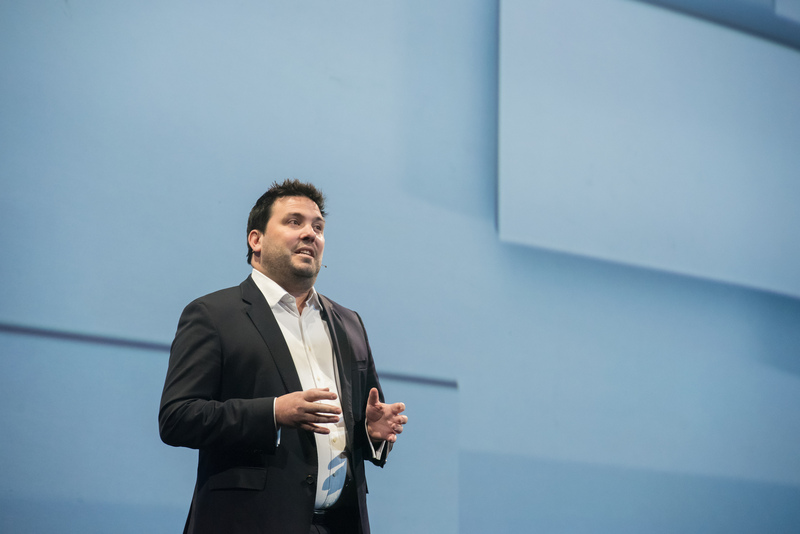 Hot on its heels and even before the official launch of its Melbourne agency, a number of blue chip clients had already told the Accenture and Monkeys team the business was theirs. Lollback leads the largest media holding group in Australia, GroupM. He has now been at the helm for more than a year and under his watch the group’s largest media agency, MediaCom, has strengthened considerably. The second largest, Mindshare, has reset its approach to market and won several new clients. 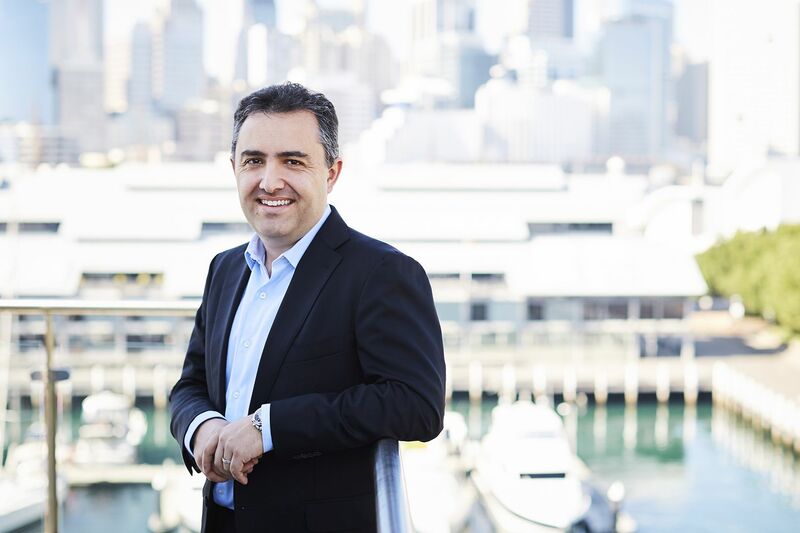 Lollback is one of the most decorated marketers in Australia, having been CMO at McDonald’s, ANZ Bank globally, PepsiCo Lipton and Unilever Foods. Never shy of an opinion, expect to hear much more from Lollback over the next year. Accenture Interactive is aggressively forging forward with its strategy to create a new model of working with clients that brings creative, technology and consultancy together. De Matteis is reported to be the brains behind Accenture Interactive’s acquisition of The Monkeys, as a way to unlock the consulting firm’s ability to offer clients an end−to−end service. Accenture Interactive sees itself at the “intersection of design, marketing, content and commerce” and The Monkeys deal changed the game in terms of what Accenture can do, as well it shifted the entire landscape for creative agencies. The reported $63 million price tag did more to value creative shops and what they do than any other single thing in the last five years. Pollard is polarising, but by virtue of the size and scale of Telstra’s marketing and media operations, and the budget she controls, there is no doubt Pollard wields power. 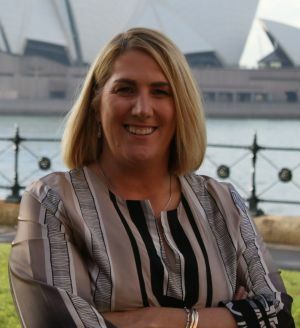 In a recent Vogue Online article about women in leadership she quipped: “I never fight to have my voice heard!” She’s been in the top, board level marketing role at Telstra for less than two years. In that time she’s overhauled the organisation’s structure and launched ‘Thrive on’, a huge repositioning campaign for the telco. Although Telstra’s NPS scores have dipped over this year, she has claimed it as one of the most successful campaigns the telco has ever run. Telstra ramps up online video as latest ad "most successful ever"
Bruce McWilliam has been at the centre of Australian media for decades. An article in The Sydney Morning Herald earlier this year called him “the man media moguls trust to make messy problems go away”. His incisive involvement in Seven’s messy Amber Harrison case seems to demonstrate that’s a fairly apt description. As commercial director of Channel Seven, and one of Worner’s chief lieutenants, McWilliam’s power is clear. But it’s also his position as an advisor to political leaders (and the Prime Minister’s ‘best mate’ if Crikey is to be believed) that gives him enormous sway. He was previously an advisor to Kerry Packer in the 1980s and Rupert Murdoch in the 1990s. 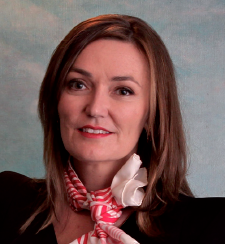 As one of few female CEOs leading across media, O’Connor is not only well−respected, she’s also highly revered for leading the success of the network’s radio brands. The Nova Network continues to stay ahead in radio ratings and Smoothfm is one of the most successful stations in the radio landscape. Despite the traditional roots of the business, owned by Murdoch’s Illyria, Nova has jumped head−first into the disruption wave by embracing and growing its globally successful Red Room venture and podcasts, as well as inking data deals. Ritson divides people, and he doesn’t care. He’s able to push marketers’ buttons, whether they like it or not, and the fact that he’s very rarely challenged goes a long way to show there’s truth in what he says. And no one knows quite what to do about it − still. 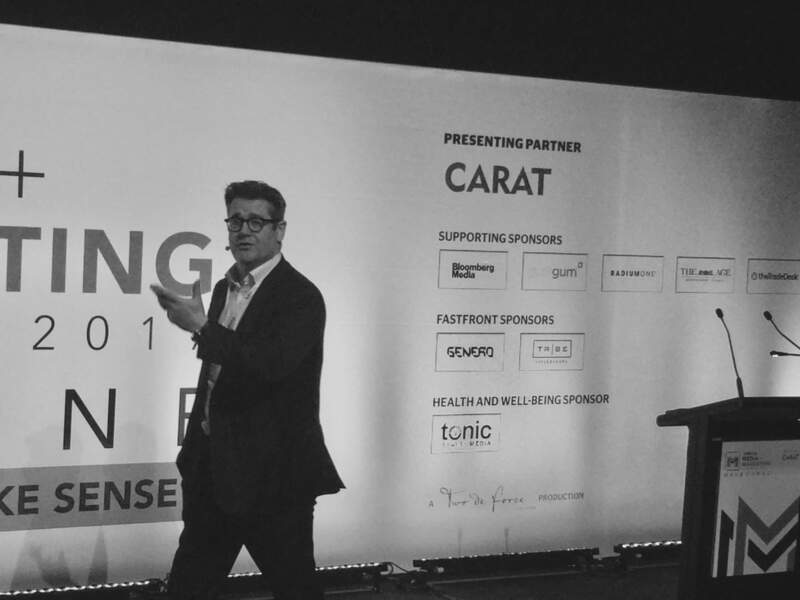 Ritson has long been warning against the perils of blindly accepting digital channels without properly understanding their value and purpose − and the misreporting of issues and brand safety concerns were just part of his validation. Not only does he push buttons with his bold statements, he consults with the biggest media and marketing organisations in Australia, and the world. Not only does Sheffield run a multimillion−dollar media business within News Corp, with a portfolio including Vogue, GQ and Australia’s most popular news source, News.com.au, but she’s chair of the IAB, sits on stacks of boards and just last year was inducted into the Australian Magazine Awards Hall of Fame. Her move to chief digital officer this year saw her take on additional responsibility for digital revenue growth and strategy, audience and subscription growth, content optimisation and marketing, and digital product innovation. For the rest of the AdNews Power 50, as well as The Ones to Watch, Top 10 Media Agency CEOs, Top 10 On Air Talent and the Big Five Cos, subscribe to AdNews. Subscribing to AdNews in print gives you access to more in-depth features and long form content and also helps support AdNews as a leading industry publication. Support us here. The AdNews editorial team discussed and researched the power players at great length and over months consulted a wide range of industry views to help create the final list. The task was the tightest yet and, it’s important to note that we didn’t go off last year’s top 50 – we wiped the slate clean and started from scratch. If there is one thing we have learnt this year, it’s that everyone perceives power and influence differently.